Kajal is by far my most favorite makeup tool. On days when I’m just not up for any makeup, kajal becomes my go-to product. Applying kajal is easy, quick and instantly adds character to your eyes. These days a variety of smudge proof kajal that can last up to 12 hours are up for grabs. But there is also a flip side to these smudge proof versions. They don’t come off as quickly as their regular counterparts. But don’t worry Zuri has got you certain tips that can help you get rid of all traces of kajal effectively. Come have a look. 1. Wet Q-tip: Pick up a q-tip or cotton bud and soak it in water for a few seconds. Now gently pull the skin under your eye and use this damp q-tip to wipe off the kajal with small gentle sweeps on your lower lashline. A Q-tip also comes in handy if you’ve ended up with smeared kajal and want to wipe the smudge off your eyes, while keeping the rest of your kajal intact. 2. Cleansing milk: Soak a cotton ball in some cleansing milk or any other makeup remover and carefully remove any left-over traces of kajal from under your eyes. This trick works very well for thick and dark kajal that just doesn’t come off quickly. But make sure you don’t let any of it get into your eyes, cause that can cause redness and irritation to the eyes. 3. 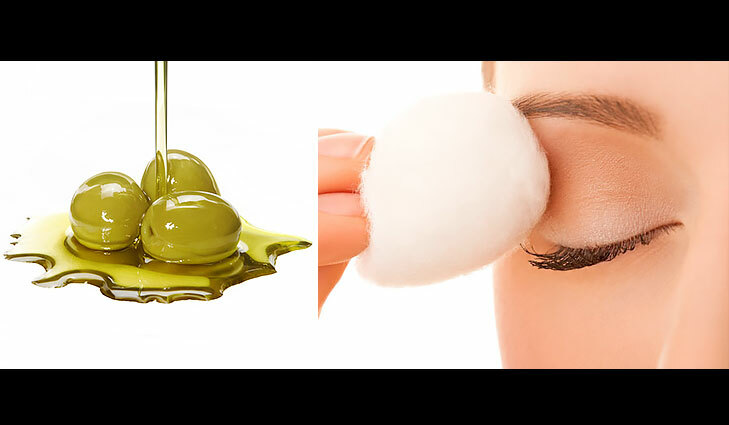 Olive oil: We all know that olive oil makes for an excellent all natural makeup remover. But do you know that it also helps effectively wipe off kajal from your eyes. So just dab on some oil on your finger tips and softly massage the area around your eyes for a few minutes. 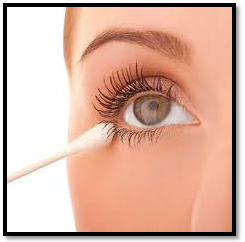 Now take a cotton ball and gently remove the kajal residue from around your eyes. 4. Vaseline: Smudge proof kajal is designed to be water proof and hence doesn’t come off easily with water. 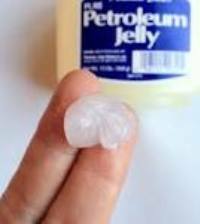 On the other hand, an oil based emollient like Vaseline helps break down and dissolve stubborn kajal. It not only helps remove kajal but also conditions your lashes and moisturises the delicate skin around your eyes. 5. Face wash: This is the simplest of the lot. If you’re too lazy to indulge yourself in any of the above activities, then a simple face wash can come to your rescue. Just splash some water and rinse your face with a face wash, gently rubbing a bit if it on your eyes too, to remove kajal from your eyes. Always remember your eyes and the skin around them are really sensitive, and any rough handling can be detrimental to it. So use the above tips to effectively remove kajal from your eyes, but make sure you do it with utmost care.